i love ribbon, a lot. 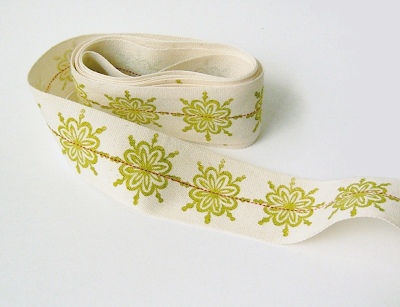 and isn't this block printed cotton tape just delightful? Target actually had 5 or 6 spools of complementing ribbons all packaged together at the dollar spot! Love, love ribbon!! Ooh gorgeous, would look so cute sewn around the waist of a summer dress. That stuff is beautiful! Would love to make it into a headband.